In late June, U.S. Attorney General John Ashcroft convinced a federal grand jury to indict Anthonius Wamang for a 2002 ambush in West Papua that killed two Americans, an Indonesian, and wounded 12 others. The indictment identifies Wamang as a commander in the Free Papua Movement (OPM) and, despite strong evidence to the contrary, clears the Indonesian military of charges that it engineered the incident. Human rights groups, longtime observers of Indonesia, and even the Indonesian police say the indictment ignores evidence tying the ambush to the most notorious unit of the TNI, Kopassus. Indeed, rights groups charge that Wamang works for Kopassus, not the OPM. The OPM has been fighting a low-key rebellion since Indonesia  with U.S. support  short-circuited a UN election and engineered the seizure of West Papua in 1969. 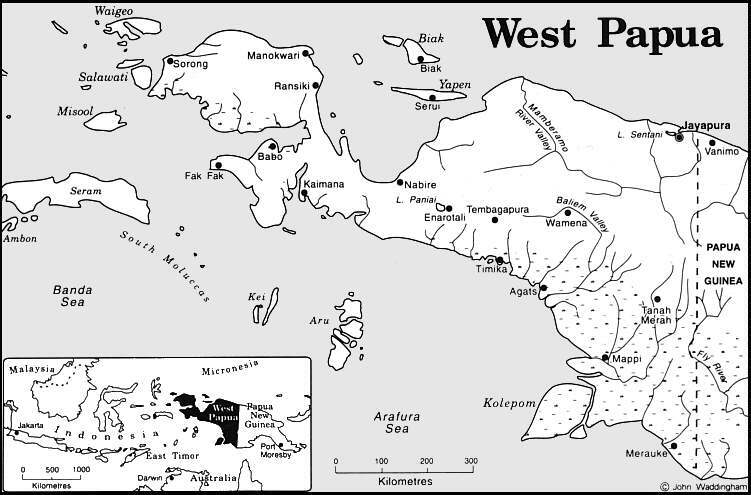 West Papua is the western half of New Guinea and Indonesia’s easternmost province. The Bush administration is currently pushing Congress to fund an International Military Education and Training (IMET) program for Indonesia, but Congress is holding up the money because of Indonesia’s resistance to seriously investigate the 2002 ambush. The U.S. first restricted Indonesia’s IMET funds following the 1991 massacre of 270 civilians in Santa Cruz , East Timor. All military ties were suspended in 1999 when TNI-organized civilian death squads ravaged East Timor following that country’s independence vote. IMET funds were suspended after the 2002 West Papua ambush. While the TNI blamed the OPM for the attack, not even the local police agree. Two months after the Aug. 31 ambush, a police report found that the OPM was an unlikely suspect because the group "never attacks white people." It concluded that TNI involvement "was a strong possibility." At the time, U.S. officials concurred with the charge of TNI involvement. A "senior [Bush] administration official" told Raymond Bonner of the New York Times that "there is no question there was military involvement. There is no question it was premeditated." According to the Australian newspaper The Age, "The initial police report on the attack concluded: ‘There is a strong possibility’ that the attack was ‘perpetrated by members of the Indonesian National Force Army, however, it still needs to be investigated further.’" But further investigation may be problematic. According to The Age, "Indonesian police investigators were threatened, evidence appeared to be planted, and the crime scene appeared to be interfered with." Two vans were ambushed leaving Freeport McMoRan’s Grasberg mine, the largest gold and copper mine in the world. The attacker, or attackers, used M-16s, a weapon that has never been associated with the OPM, many of whose members use bows and arrows. OPM spokesperson John Ondowame denied any involvement in the attack. "I can say with assurance that the incident did not involve the Free Papua Movement," he told the press in Melbourne, Australia. It would hardly be surprising that the TNI, in particular Kopassus, would engineer such an incident. In 2001 seven low-level members of the unit were jailed for murdering Papuan independence leader Theys Eluay. In the meantime, Indonesia has ignored the UN-sponsored court in East Timor, which has charged almost 400 people with war crimes, including former presidential candidate General Wiranto. Indonesia has refused to hand over any of the defendants. Besides discrediting the OMP, the military had a financial stake in the ambush. Freeport McMoRan paid the TNI $10.7 million in protection money from 2000 to 2002, and provided military officers with free airline tickets. The company stopped the payments shortly before the ambush because a new American corporate responsibility law required disclosure of such payments. One intelligence analyst told Bonner it was "extortion, pure and simple." Re-starting the lucrative Indonesia-U.S. arms pipeline and roping in a potential ally against what some in the Bush administration see as their future competitor  China  overshadows greasing the palms of local Indonesian military commanders. Indonesia could be an important link in the chain of bases and allies the U.S. is forging in Asia. Australia, the Philippines, Japan, and India have already signed up for the U.S. anti-missile system. The Bush administration says it is directed at North Korea, but the Chinese are convinced it targets their small missile fleet. The U.S. Defense Department (DOD) has lobbied to end the ban on arms sales and cooperation with the Indonesian military, in spite of the latter’s horrendous human rights record in the rebellious provinces of Aceh, the Malukus, East Timor, and Papua. "I think it is unfortunate that the U.S. today does not have military-to-military relationships with Indonesia," said Defense Secretary Donald Rumsfeld. Rumsfeld’s right-hand man, DOD Assistant Secretary Paul Wolfowitz, argues, "More contact with the West and the United States and moving them in a positive direction is important both to support democracy and support the fight against terrorism." Wolfowitz was Ambassador to Indonesia during the Reagan administration. 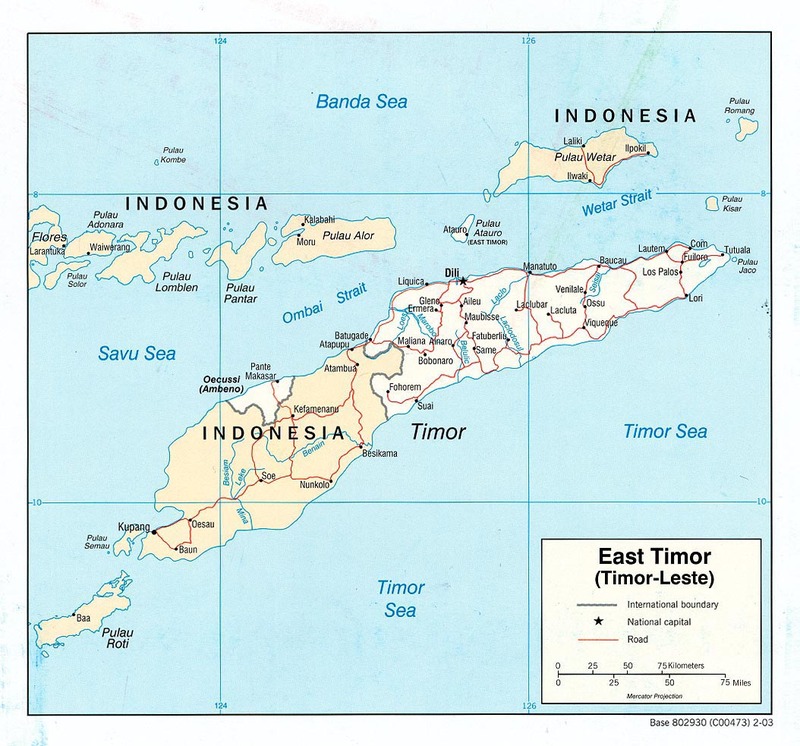 According to Karen Orenstein, Washington coordinator for the East Timor Action Network (ETAN), "History demonstrates that providing training and other assistance only emboldens the Indonesian military to violate human rights and block accountability for past injustices." The Indonesian military’s "worst abuses," says Ed McWilliams, former State Department political counselor in the U.S. Embassy in Jakarta from 1996-99, "took place when we [the U.S.] were most engaged." "Abuses" is a mild term for what the TNI has inflicted on places like East Timor and Aceh. According to the UN, Indonesia’s 24-year occupation of East Timor resulted in 200,000 deaths, a higher kill ratio than Pol Pot managed in Cambodia. Following the vote for independence, TNI-sponsored militias went on a rampage, killing up to 1,500 people, forcing another 250,000 into concentration camps in West Timor, and destroying 70% of East Timor ‘s infrastructure. torture of detainees in both military and police custody." As in East Timor, the military, with the blessing of Indonesian President Megawati Sukarnoputri, has organized "civilian defense groups that are little more than death squads." According to the government-run National Commission on Human Rights, the military has been recruiting, training, and arming such groups, which are then unleashed on the population. An Aug. 4 joint press statement from three Papuan rights groups, ELSHAM, LEMASA and YAHAMAK, expressed "grave concern over the actions of U.S. Attorney General John Ashcroft" and accused Ashcroft of "suppressing evidence" that the groups had supplied FBI agents investigating the ambush. The groups say that Wamang, the target of the indictment, was "a business partner of Kopassus." The groups also charge that the Indonesian military "routinely uses civilians to stage attacks," and that the former Police Chief of West Papua, General Made Pastika, concluded the TNI was behind the attack. According to the three groups, none of this evidence was presented to the grand jury. In his statement announcing the indictment, Ashcroft said, "The U.S. government is committed to tracking down and prosecuting terrorists who prey on innocent Americans in Indonesia and around the world. Terrorists will find they cannot hide from U.S. justice." But according to a 2002 study by the U.S. Naval Postgraduate School, the TNI’s links to groups like Laskar Jihad has made it "a major facilitator of terrorism." As John Miller of ETAN points out, the Indonesian military carries out and sponsors terrorism throughout the huge archipelago. "Who," he asks, "are the terrorists here?"